Boots UK (formerly Boots the Chemists Ltd), trading as Boots, is a health and beauty retailer and pharmacy chain in the United Kingdom, Ireland, other territories. The parent company, The Boots Company Plc, merged with Alliance UniChem in 2006 to form Alliance Boots. In 2007, Alliance Boots was bought by Kohlberg Kravis Roberts and Stefano Pessina, taking the company private, and moving its headquarters to Switzerland, making it the first ever FTSE 100 company to be bought by a private equity firm. In 2012, Walgreens bought a 45% stake in Alliance Boots, with the option to buy the rest within three years. It exercised this option in 2014, and as a result Boots became a subsidiary of the new company, Walgreens Boots Alliance, on 31 December 2014. Boots is one of the largest retailers in the UK and Ireland, both in terms of revenue and the number of shops. They have 2,500 shops across the United Kingdom and Ireland ranging from local pharmacies to large health and beauty shops. Their shops are primarily located on the high streets and in shopping centres. It sells many health and beauty products, and also provides optician and hearing care services within shops and as standalone practices. Boots also operates a retail website and since 1997 it runs a loyalty card programme called the Boots Advantage Card. Boots was established in 1849, by John Boot. After his father's death in 1860, Jesse Boot, aged 10, helped his mother run the family's herbal medicine shop in Nottingham, which was incorporated as Boot and Co. Ltd in 1883, becoming Boots Pure Drug Company Ltd in 1888. In 1920, Jesse Boot sold the company to the American United Drug Company. 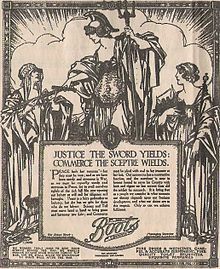 However, because of deteriorating economic circumstances in North America Boots was sold back into British hands in 1933. The grandson of the founder, John Boot, who inherited the title Baron Trent from his father, headed the company. The Boots Pure Drug Company name was changed to The Boots Company Limited in 1871. Between 1898 and 1966, many branches of Boots incorporated a lending library department, known as Boots Book-Lovers' Library. Boots diversified into the research and manufacturing of drugs with its development of the Ibuprofen painkiller during the 1960s, invented by John Nicholson and Stewart Adams. The company was awarded the Queen's Award For Technical Achievement for this in 1987. A major research focus of Boots in the 1980s was the drug for congestive heart failure Manoplax. The withdrawal from market of Manoplax due to safety concerns in 1993 caused major pressure from investors, and in 1994, Boots divested its prescription drugs division, which had become no longer viable, to BASF. In 2006, it sold the Nurofen brand to Reckitt Benckiser. 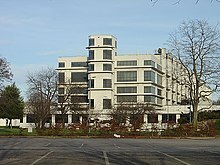 The 2006 sale of Boots Healthcare International included everything made by Crookes Healthcare, based on the Nottingham site. In 1968 Boots acquired the 622-strong Timothy Whites and Taylors Ltd chain. Boots expanded into Canada by purchasing the Tamblyn Drugs chain circa 1978. Most Canadian Boots shops were converted to Pharma Plus in 1989, although a handful of locations remained as late as 1993, if not later. In 1982, the company opened a new manufacturing plant in Cramlington, Northumberland. In the early 1990s, Boots began to diversify and bought Halfords, the bicycle and car parts business in 1991. It also developed the Children's World business but sold it in 1996 to Mothercare. Halfords was sold in 2002. Boots Opticians Ltd was formed in 1987 with the acquisition of Clement Clarke Ltd and Curry and Paxton Ltd. Boots Opticians became the UK's second largest retail optics chain. In 2009 Boots Opticians acquired Dollond & Aitchison, an optician chain which was founded in 1750. In late 2004, Boots sold its laser eye surgery business to Optical Express. In October 2005, a merger with Alliance UniChem was announced by the then chairman, Sir Nigel Rudd. The CEO Richard Baker left, and the new group became Alliance Boots plc. The merger became effective on 31 July 2006. Alliance Boots was purchased by Kohlberg Kravis Roberts and Stefano Pessina, the deputy chairman of the company, in April 2007 for £11.1 billion, taking the company private and beating a rival bid from Guy Hands' Terra Firma Capital Partners. This was the first ever instance of a FTSE 100 company having been bought by a private equity firm. In June 2008, the group headquarters were moved to Zug, Switzerland. According to John Ralfe, Boots' former head of corporate finance, "the UK has lost about £100m a year in tax as result". 'Boots the Chemists Limited' was re-registered under the name 'Boots UK Limited' on 1 October 2007. Management of all staff was moved to Boots Management Services Limited on 1 July 2010. On 19 June 2012, it was announced that Walgreens, the United States' largest chemist chain, would purchase a 45% stake in Alliance Boots for US$6.7 billion. The deal was said to be a long term plan to give maximum exposure to both brands, Boots more so in the US and, Walgreens more so in the UK and in China through Boots' presence in that market. The deal gave the option to complete a full merger of the organisations within three years costing an extra $9.5bn. Walgreens confirmed on 6 August 2014 that it would purchase the remaining 55% and merge with Alliance Boots to form a new holding company, Walgreens Boots Alliance Inc. Walgreens and Boots both become subsidiaries of the new company on 31 December 2014. On 2 April 2019, Boots announced it would sponsor the England, Scotland, Wales, Northern Ireland and Republic of Ireland women's football teams in a multi-million pound deal. The deal will last three years and cover the 2019 FIFA Women's World Cup and the UEFA Women's Euro 2021 competitions. Photography - Boots is an established provider of photography services. Traditionally the shops offered photographic processing services, but with the shift from film to digital photography, the shops now include kiosk printing services. Food and drink (branded as Boots Delicious) - most branches sell lunchtime food and drink products which are available as part of a "Meal Deal" promotion. In April 2016, the Pharmacists' Defence Association stated that company managers were exploiting the NHS by insisting that each outlet carry out medicine use reviews, even if patients didn’t need them. The NHS pays £28 per review up to a maximum of 400 per shop. The Guardian stated that the General Pharmaceutical Council was poised to investigate. At the same time as the article about medicines reviews, The Guardian published a longer report on the same day called 'How Boots went Rogue', which told the story from the eyes of a Boots pharmacist talking about working conditions at the company. It also covered the buyout of the company and the owners' financial approach. Four days later it published an articles with emails from pharmacists. Pharmacists had written about how "the chain allegedly compels staff to compromise ethics for targets". The article said "The letters editor believes this may be the largest haul of mail he has ever received about a single article. Others rang in." There were two further follow-up articles in the days following. The paper subsequently noted a letter purporting to be from an "independent pharmacist" criticising its stance on the issue which it identified as having been edited and amended by one of the firm's vice-presidents. The letter was emailed as a Word document and contained tracked changes. Following the Guardian reports, Boots announced the departure of UK operations director, Simon Roberts, in June 2016. On 8 January 2018, the BBC showed a documentary called "Boots: Pharmacists under Pressure?" about the deaths of three patients following dispensing errors. It also featured accounts from three whistleblowers, who alleged that there were staffing issues at the company. One of the whistleblowers, who had formerly worked in a patient safety role, stated that Boots had calculated that in excess of £100m additional investment in staffing was required each year in its pharmacies and to meet the company's expectations of its staff. The BBC also published two articles on the same day. A separate article almost three weeks later told the story of a patient who was given the wrong medicine in December 2017 by a "frazzled" pharmacist. The patient said there was clearly a staffing issue. Boots had told the BBC documentary makers that there had been no further patient deaths associated with dispensing errors since 2015. However, in July 2018, it was reported that an error had occurred in 2016 in which two lots of the same medicines were dispensed and supplied to the same patient, Richard Lee, who subsequently died. The error was found at a coroner’s inquest to have contributed to his death. In July 2017, the British Pregnancy Advisory Service (BPAS) revealed that Boots was selling emergency contraceptive medication at four times the cost price and had refused requests to join rival pharmacy retail chains, including Superdrug and Tesco, which had agreed to cease profiting financially in this way. In a written response to BPAS, Boots revealed that they were frequently contacted by individuals who disapproved of the dispensing of such medication, which might be viewed as "incentivising inappropriate use", an assertion which campaigners described as "insulting and sexist". BPAS called on the public to boycott the company and email them requesting that they reverse the policy. Following the boycott's launch, lawyers representing Boots alleged that the online complaint form created by BPAS had resulted in a "torrent of abuse" to five of Boots' senior managers and that BPAS had facilitated and tacitly encouraged harassment by naming individual staff members on the form. In response, BPAS stated that Boots had "failed to provide any evidence of abuse sent through the campaign". In November 2017, more than 130 Labour politicians signed a letter criticising Boots' failure to fulfil its promise to stock a low-cost alternative in its shops by October. At the end of January 2018, Boots confirmed that it was now offering the cheaper medication in all of its pharmacies. Throughout the media coverage, a May–July 2017 pricelist from its wholesaler and sister company Alliance Healthcare stated that the "Normal Retail Price inc. VAT" of Levonelle One Step was £12.72. Levonelle One Step was the morning after pill which was the subject of the media attention, and which Boots was selling for £28.25. This does not appear to have been picked up on by the press. In February 2018, Boots was criticised for charging excessive prices for low-value products supplied to the NHS: in one case, it was found that the pharmacy was billing in excess of £1,500 for a moisturiser which normally retailed at less than £2. In May 2018, a further investigation by The Times found that on at least five occasions between 2013 and 2017, Boots had charged over £3,200 for a medicinal mouthwash used to treat mouth ulcers in chemotherapy patients, in comparison to an independent supplier which had charged the equivalent of £93 for the same product. The investigation found that Boots had ordered the product from Alliance Healthcare, a supplier owned by Boots' parent company. In response, a spokesman for Walgreens Boots Alliance rejected accusations of overcharging the NHS and claimed that the bespoke nature of the orders, often requested at short notice, results in the high cost. The company funds the Boots Charitable Trust, which is an independent registered charity in the UK, administrated by Nottinghamshire Community Foundation. The trust was established in the early 1970s to fund registered charities benefiting people who live in Nottinghamshire. The Boots Estate, near the Nottingham suburb of Beeston, features a range of listed buildings. This includes the two principal factory buildings, D6 and D10, designed by Sir Owen Williams and built in 1932 and 1935–38 respectively. Both are Grade I listed. The former fire station, D34, is also by Williams and is Grade II listed. The headquarters office building known as D90 is Grade II* and was built to designs by Skidmore, Owings & Merrill in 1966–68. Staff have a restaurant, coffee and snack shops, newsagent, a branch of Boots the Chemist, an opticians branch and cash point situated within landscaped grounds. The grounds include the Millennium Garden, which features a herb garden (with some plants that Jesse used in his original herbal remedies) in the shape of a goose foot – harking back to Jesse's original shop on Goose Gate, Nottingham. The Boots Museum is now closed; however, historical items are in storage or on display in the reception area of the D90 building. ^ Boots UK Limited. "Boots UK". Retrieved 20 March 2010. ^ "Boots UK Limited". Companies House. Retrieved 10 June 2018. ^ "Alliance UniChem Plc and Boots Group PLC merger archive | Walgreens Boots Alliance". investor.walgreensbootsalliance.com. Retrieved 28 December 2015. ^ "Boots UK - Welcome to Boots UK". ^ a b c d "Boots Learning Store". Boots Learning Store. 4 December 1999. ^ "Manoplax: from heart to heartbreak: With millions lost on its 'wonder". The Independent. Retrieved 13 April 2016. ^ "Boots is pacesetter for drug chains in the UK". Findarticles.com. ^ "COMPANY NEWS; Boots Pharmaceuticals Unit To Go to BASF of Germany". The New York Times. 15 November 1994. ISSN 0362-4331. Retrieved 13 April 2016. ^ "Boots to launch dental clinics". BBC News. 10 September 1998. ^ Gilleo, Ken. "Boots decides that for £68m Focus can do-it-all". ^ "Boots announces £7bn merger deal". BBC News. 3 October 2005. Retrieved 29 May 2013. ^ Craven, Neil (24 April 2007). "KKR Agrees to Buy Alliance Boots, Beating Guy Hands". Bloomberg. Retrieved 20 June 2014. ^ "Alliance Boots takeover approved". BBC. 31 May 2007. Retrieved 1 August 2014. ^ Lawrence, Felicity (11 December 2010). "How Boots' Swiss move cost UK£100m a year". The Guardian. Retrieved 20 June 2014. ^ "BOOTS UK LIMITED - Overview (free company information from Companies House)". beta.companieshouse.gov.uk. Retrieved 28 December 2015. ^ "Kanayati AND BOOTS". kanayatiandboots.blogspot.co.uk. Retrieved 28 December 2015. ^ Harry Wallop (19 June 2012). "Alliance Boots sells 45pc stake to Walgreens". The Telegraph. Retrieved 28 May 2013. ^ "Walgreens to buy up Alliance Boots". BBC News. 6 August 2014. Retrieved 24 October 2014. ^ "Boots to sponsor women's home nations and Republic of Ireland sides". BBC Sport. 2 April 2019. Retrieved 5 April 2019. ^ Hickey, Shane (27 June 2015). "Do supermarket meal deals cut the mustard?". The Guardian. ISSN 0261-3077. Retrieved 14 April 2016. ^ "Commons Science and Technology Committee Evidence Check 2: Homeopathy". 25 November 2009. ^ Ben Leach (26 November 2009). "Boots: 'we sell homeopathic remedies because they sell, not because they work'". The Telegraph. ^ Julia White (26 November 2009). "'Homeopathic medicines don't work'". express.co.uk. ^ "Boots director on homeopathy and the top 10 Gerald Ratner moments". The Mirror. 27 November 2009. ^ Margaret Davis (30 January 2010). "Boots director on homeopathy and the top 10 Gerald Ratner moments". The Independent. ^ Sam Jones (29 January 2010). "Homeopathy protesters to take 'mass overdose' outside Boots". The Guardian. ^ Aditya Chakrabortty (13 April 2016). "Boots staff under pressure to milk the NHS for cash, says pharmacists' union". Guardian newspapers. Retrieved 13 April 2016. ^ Chakrabortty, Aditya (17 April 2016). "Boots could face regulator's investigation after Guardian report". Guardian newspapers. Retrieved 17 April 2016. ^ "'How Boots went Rogue'". The Guardian. 13 April 2016. ^ "Yours, a stressed pharmacist: Boots article prompts flood of letters". The Guardian. 17 April 2016. ^ "The Guardian view on Boots: sick staff, a healthcare business and the public purse". The Guardian. 19 April 2016. ^ "BHS, Boots … our misbehaving corporations need their wings clipped". The Guardian. 27 April 2016. ^ "'Independent' pharmacist's letter edited by Boots' owner". The Guardian. 29 April 2016. Retrieved 29 April 2016. ^ Zoe Wood (9 June 2016). "Boots UK boss Simon Roberts quits". Guardian newspapers. Retrieved 9 June 2016. ^ "New Boots boss offers chance to change". Guardian newspapers. 9 June 2016. ^ "Boots: Pharmacists under Pressure?". The BBC. 8 January 2018. ^ "Some Boots pharmacists claim they are at 'breaking point'". The BBC. 8 January 2018. ^ "Boots pharmacists raise staffing concerns". The BBC. 8 January 2018. ^ "Boots: Pharmacists under Pressure? Inside Out subtitles". Subsaga. 8 January 2018. ^ "'Frazzled' Boots pharmacist mixed up patient's pills". The BBC. 27 January 2018. ^ "Boots pharmacy drugs mistake contributed to death". BBC News. 6 July 2018. ^ Sarah Marshall (28 June 2018). "Prescription mix-up 'ought not to have happened,' Doncaster man's inquest hears". Doncaster Free Press. ^ "Just Say Non". British Pregnancy Advisory Service website. Retrieved 21 July 2017. ^ Bates, Laura (20 July 2017). "Boots is charging women high rates for the morning after pill because they think we might use it 'inappropriately' if it's cheap". The Independent. ^ "Boots faces morning-after pill cost row". BBC News. 21 July 2017. ^ Slawson, Nicola (20 July 2017). "Boots faces boycott over refusal to lower cost of morning-after pill". The Guardian. ^ "Boots staff 'harassed' by morning-after pill campaigners". BBC News. 1 September 2017. ^ "Boots 'breaking' morning-after pill promise, say Labour MPs". BBC News. 16 November 2017. ^ "Boots rolls out cheaper morning-after pill across UK". BBC News. 29 January 2018. ^ "Product Medical Directory" (PDF). Alliance Healthcare website. ^ "Mental Health: Pharmacists - House of Commons Debate". 25 October 2017. ^ "Boots owner denies overcharging NHS for cancer mouthwash". BBC News. 25 May 2018. ^ "Boots Charitable Trust". Boots UK. 2019. Retrieved 13 February 2019. ^ "Boots UK and BBC Children in Need". Publisher: Boots UK. Retrieved 13 February 2019. ^ "The Boots company and Macmillan Cancer Support". Publisher: Macmillan Cancer Support. Retrieved 13 February 2019. ^ "WE.org (scroll down to see the 4th programme partner)". Publisher: WE.org. Retrieved 13 February 2019. ^ "Our Partnership with The Prince's Trust". Publisher: Boots UK. Retrieved 14 February 2019. ^ "British and International Music Yearbook 2009, as found via Google Books - 1 page matching "Boots Orchestra" nottingham in this book - click Search to see the result". Publisher: Rhinegold Publishing Ltd. Retrieved 13 February 2019. ^ "Sherwood United Reformed Church's web site advertising a concert held there on 16 November 2013, given for charity by The Boots Orchestra". Publisher: Sherwood United Reformed Church. Retrieved 10 February 2019. ^ "The Boots Orchestra concert on October 19, 2015"". Publisher: Ruddington Parish Council, Nottinghamshire, England. Retrieved 13 February 2019. ^ "Summer concert by the Boots Orchestra - Saturday 18th June 2016"". Publisher: The Church of England Diocese of Southwell and Nottingham. Retrieved 13 February 2019. ^ "The Boots Orchestra in Nottingham". Publisher: The Boots Orchestra in Nottingham. Retrieved 13 February 2019. ^ "Boots Benevolent Fund". Publisher: Boots UK. Retrieved 14 February 2019. ^ Historic England. "Building D6 at Boots Factory Site (1278028)". National Heritage List for England. Retrieved 6 February 2018. ^ Historic England. "Building D10 at Boots Factory Site (1247927)". National Heritage List for England. Retrieved 6 February 2018. ^ Historic England. "BOOTS D90 WEST HEADQUARTERS BUILDING (1268303)". National Heritage List for England. Retrieved 6 February 2018. Wikimedia Commons has media related to Boots the Chemist.